← Cincinnati Reds State Of The Union: Is 2014 The Year? Ellsbury has a Career 3 Slash of .297/.350/.789 – and averages 57 XBH, 55 SB, 198 Hits and 108 RBI for every 162 Games Played. The Yankees have inked him to a 7 year deal worth nearly $22 MIL per campaign, and will bank on him staying healthy for most of the contract. In 2013, the CF hit for a 3 Slash of .297/.355/.791 – with an AL leading 52 SB – and he scored 92 Runs in just 577 AB. Most of his power returned to him in the 2nd half of the campaign, In his last 57 games of the regular season, he hit 8 HRs, 12 – 2B and 1 Triple. It should be expected that Ellsbury could hit 60 – 70 Extra Base Hits a year, and average 35 – 50 SB for the duration of this contract. The Oregon native’s best year came in 2011, where he finished 2nd in AL MVP Voting, was a 30 HR/30 SB year, 105 RBI. That year he knocked 84 XBH, compiled 212 hits and scored 119 Runs. The Red Sox will receive their 2nd pick from their 4 qualifying offers made to Free Agents. 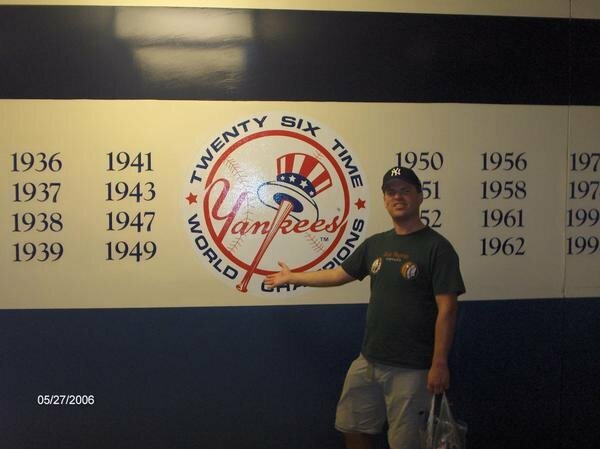 Of course everyone remembers the Red Sox still won the 2007 World Series, however you could also say that Damon was vital to the New York Yankees 2009 title, his last season in New York. Ellsbury is the kind of dynamic player the Yankees really need. He plays great defense, is a speed demon on the basepaths, while also possessing nice power. If he can effectively stay healthy, there is no reason to think he can’t revert to his 2011 campaign, in which he finished 2nd in AL MVP voting. Ellsbury has 60 – 70 XBH power – and will act as the leadoff guy New York hasn’t seen since Johnny Damon. 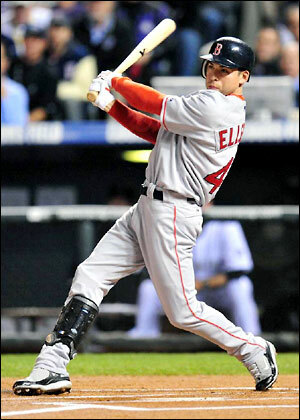 He has a great career OBP, he is Left Handed After 2011, Ellsbury looked to be a top 5 player in the Majors. a 30/30 Leadoff hitter, with the great running ability. Really he was Mike Trout, before Mike Trout arrived. Injuries have plagued the 30 year old from Madras, Oregon, there is no doubt about that. He missed 144 Games in 2010, and then missed another 88 in 2012. In 2013, Ellsbury managed to tough it out for 134 Games, and also remained healthy enough for the World Series Run – even though he was sporting a walking boot – and played in just 7 contests in Sept/October. His playoff run solidified his Free Agency status as a rockstar – by 3 Slashing .344/.408/.836 – with 22 Hits, 6 SB and 14 Runs Scored throughout the 2013 Post Season. Ellsbury did the most damage against the Tampa Bay Rays in the ALDS Round – going 9 – 18 (.500) – with Stolen Bases in four consecutive games – while scoring 7 runs for the series. If Ellsbury can’t stay healthy for the majority of the 7 year deal, it could be catastrophic for the Bombers. They already have a rapidly aging core that are battling injuries themselves. The Yankees are hoping it will be a fight at the ‘bat rack’ to be on the field, as oppose to seeing which players will receive 1st treatment at the trainer’s table. I am sure the Yankees brass have been scouting him in the regular and post season for years. Ellsbury has definitely proven he can handle the pressure when the game dictates it. He is AL East battle tested, and knows the pitching in the Division. He knows what it is like to play in a high anxiety media market. The key is just for the guy to remain on the field. If Ellsbury can do that, we might be seeing the most prolific hitter out of the leadoff spot for the Bronx Bombers since the days of Rickey Henderson. The short porch in RF at Yankee Stadium should enable the man to hit 15 – 20 HRs every year, and I think it would not be absurd if you saw 40 Doubles and 10 Triples every year either. The one thing that will be interesting to see is what the franchise will do with Brett Gardner. Would he move to another OF position to create the spot for Ellsbury – or would you rather have him play a corner Outfield spot. New York still has Alfonso Soriano, Ichiro Suzuki and Vernon Wells patrolling beyond the grass as well. I think what they could do is make Soriano the permanent DH for 2014, and let Wells be the 4th OF. This move is also a boost for the years beyond next campaign – as the organization had no one signed past 2014 in the Outfield. Tyler Austin and Melky Mesa could use a couple of more years in the Minors, while a guy like Zoilo Almonte could also see some time in the big leagues depending on injury. I also foresee a scenario where the team could trade Brett Gardner for some pitching. He is injury prone himself, and is set to become a Free Agent after the 2014 year too. Perhaps the Oakland Athletics may be interest in him coming over for a Starting Pitcher like Brett Anderson? The A’s are always searching for defensive and offensive upgraded. Despite them trading for Craig Gentry yesterday, they also may like to give Yoenis Cespedes a day off from CF. I also wouldn’t put anything past Billy Beane cooking up another trade involving Coco Crisp or Josh Reddick either. Kelly Johnson, who will turn 32 before next season, was inked to a 1 YR deal worth between $2.75 – $3.0 MIL by the Yankees yesterday. 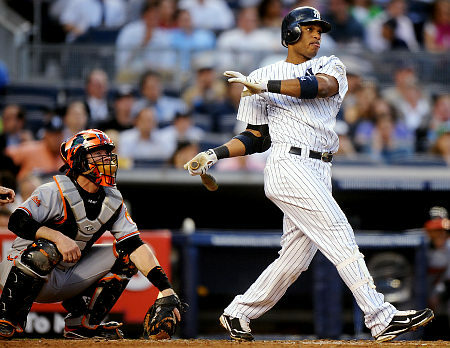 He is great insurance for New York – in regards to both the 2B and OF positions. Johnson has a Career 3 Slash Line of .252/.335/.767 – with 124 HRs in 3664 AB. 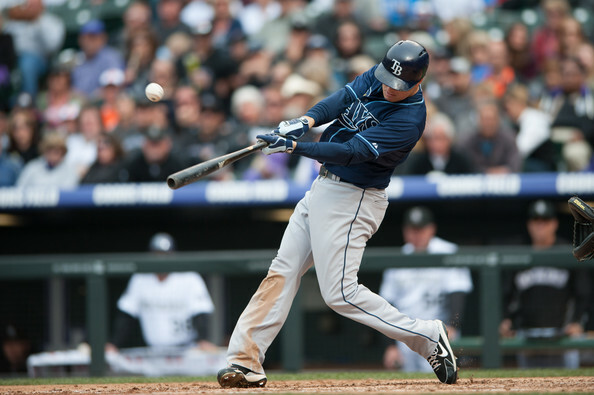 In another move done by the club yesterday, they also signed Kelly Johnson to a 1 YR/$2.75 MIL deal. This provides the club great insurance at 2B in case they can’t resign Cano. Johnson can also play the OF, which would still free up the team to trade Gardner if they wanted too. This team also has Eduardo Nunez and Brendan Ryan as backup Infielders. The one player that should be worries about a ‘Designated For Assignment’ maybe Vernon Wells. Back to Ellsbury vs Cano. While Robinson Cano has had ascending power numbers, and has remained healthier than the CF the last 4 years, the Yankees know that they are not dealing with an ALL – Time fan favorite in their own Second Baseman. Ratings for the YES network were down 30% for the majority of the year, and it was actually the timing of Alfonso Soriano coming back – that coincided with the team playing better, and ratings coming back up to respectful numbers. The Yankees team are really held hostage by the Alex Rodriguez pending suspension, and the Cano camp simply asking for too much money. By signing Ellsbury, this a deflating blow to Cano’s pocketbook. Free Agency is supply and demand, so the Pinstripers have burned some dollars off what they can pay him. The team has still said it wants to remain under the $189 MIL Luxury Tax Threshold for 2014. The franchise will definitely bid higher for the services of Masahiro Tanaka, – as his total of the posting bid for his services would not go directly against the AAV (Average Annual Value), the formula used for the yearly Luxury Tax salary. The only thing to stand in the way would be the new provisions put in place by the MLB. One of the rumors was that there may be a maximum bid for the clubs to offer, and then it would then the decision would work like waivers – where the team with the lowest winning percentage, would have 1st bid. You must also try to sign Hiroki Kuroda, but that will also cost you upwards of $15 MIL for 2014. The team may turn to the bargain bin for a Closer, or wait to see about the Rodriguez case to see how much they could spend. Having David Robertson to start the year is not the worst situation in the world either. Should the A-Rod suspension stick for at least 150 games, the organization would net $25 MIL back towards the bottom line. At this point, this may be the only way for the Yankees to hit their financial goals, and then bring back their ALL – Star 2B. As a Yankees fan myself, i am glad they didn’t wait around for Cano to sign, or lower his price, as other Free Agents were going to slowly be picked off one by one. The worst thing the Yankees could have done was to mimic the winter the Texas Rangers had in 2012 – going into 2013, where they were left in the cold by most of the Free Agents, while trying to sign select players. So for Cano, he has probably lost money in bidding parties, and now may have to wait until 2014 on the calendar before he is signed. Things have definitely not started off good for the longtime Yankees 2B as he enters into Free Agency. The Tigers and Rangers made a trade that effects their bargaining dollars with Cano, and now the Yankees have signed Ellsbury to a 7 YR deal worth $153 MIL. 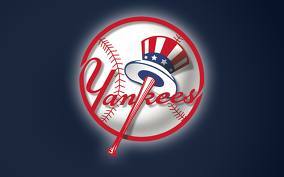 With the A-Rod suspension still not being done, things will crawl to a standstill between the Yanks and Cano. If he comes back, it will likely be closer to the deal they have offered him at 8 YRs/$170 MIL – rather than the veteran’s ask of 8 YRs/$240 MIL. Posted on December 4, 2013, in Free Agency, The Rest: Everything Baseball and tagged 2014 Luxury Tax Threshold, AL East, alex rodriguez, alfonso soriano, billy beane, boston red sox, Brendan Ryan, brett anderson, brett gardner, coco crisp, craig gentry, david ortiz, eduardo nunez, grady sizemore, hiroki kuroda, jacoby ellsbury, johnny damon, josh reddick, kelly johnson, masahiro tanaka, melky mesa, new york yankees, New york Yankees Payroll, NPB and MLB posting agreement 2014, oakland athletics, rickey henderson, robinson cano, seth smith, tyler austin, vernon wells, yankee stadium, zoilo almonte. Bookmark the permalink. Leave a comment.